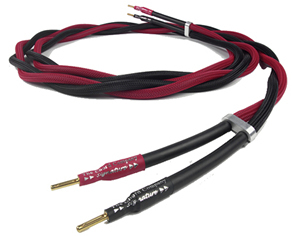 Adding Chord Signature speaker cables to your system may come as something of a shock - you may find it hard to believe just how much you've been missing. After using Signature, many customers have been surprised by how much noise previous cables allowed to get in the way of the music. Signature allows you to hear more space around individual voices and instruments, fine and delicate details and a natural and coherent soundstage that in no way sounds forced or jumbled. No matter how complex the music, Signature doesn't falter in its ability to create a natural and realistic soundstage. Tonally, the cable is neutral and will portray the very subtle dynamic changes that are so vital to music reproduction. No matter what your system, the innovative design of Chord Signature speaker cable will transform the sound and really bring your music or soundtracks to life. Chord Signature has also been designed to work well with either Signature and Anthem 2 interconnects, for the ultimate system connections. These are professionally terminated at Chord. (For example, order 4m for a 2m pair, 6m for a 3m pair etc). 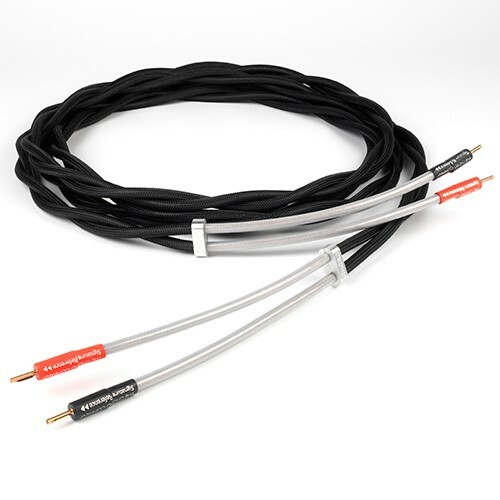 Chord Signature speaker cable is the result of several years' experimentation with shielded cables. The first prototype was so stiff it was virtually unusable, and a great deal of work went into producing the same performance in a more flexible design. The insulation is a gas-foamed polyethylene, which has several major advantages. It produces a lower dielectric constant and better phase stability, both of which contribute to the Signature's outstanding performance. Each set of Signature speaker cables is factory terminated by Chord and although conductor pairs are separately shielded, the cable is twisted along its length to improve flexibility. Chord Signature was developed to work in conjunction with the Chord Signature phono interconnects. However, its performance characteristics also make it an ideal choice for use with Chord's flagship Indigo interconnects. The design principles of all three cables are very similar and despite the differences in construction, conductor and insulation materials, all three cables will work extremely well together. What systems work well with Signature? Signature speaker cable will work consistently well from system to system, to some extent regardless of cost. There is an assumption that expensive cables belong with expensive systems. This is not necessarily the case. One of the most compelling demonstrations of what a set of properly shielded interconnects and speaker cable can bring to a system came when the cost of the interconnects and speaker cables was the same as the combined cost of the CD player, amplifier and speakers.